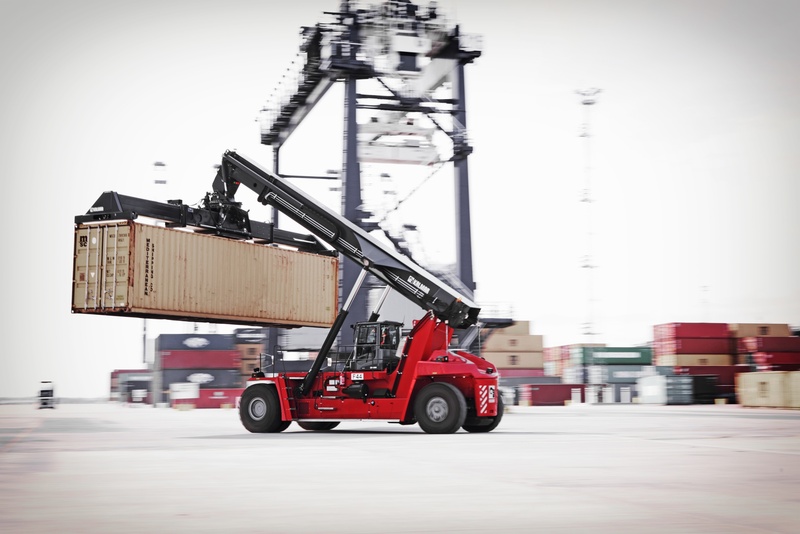 Kalmar, part of Cargotec, is delivering four of its latest generation Gloria reachstackers to International Container Terminal Services Inc Group (ICTSI). The 45 tonne capacity units are the first operational in the Asia-Pacific territory, following their launch in Shanghai in August 2014. They will be undertaking container handling in two of ITCSI's terminals, Manila and Subic in the Philippines. The order was signed into Cargotec's third quarter 2014 intake. Two of the units were delivered in December and the next two will be delivered in January 2015. ICTSI, a long standing customer of Kalmar, has experienced consistent growth in container throughput at its key locations and has been investing in extending its container handling infrastructure. The Manila International Container Terminal (MICT) is ICTSI's flagship operation and the Philippines' largest international terminal with an annual capacity of 4.2 million TEUs. Similar growth is now being developed at the Subic terminal which services the growing northern economy of the Philippines. Björn Jonasson, Sales Director, Kalmar Asia commented, "I am delighted that ICTSI has become the first customer to specify Kalmar Gloria reachstackers in Asia and particularly so soon after their launch into the region. We have enjoyed considerable success in launching Gloria into other key territories and the product has now become the benchmark for reachstacker performance throughout the industry." Gloria achieves new levels of productivity with a total lift capacity of 45 tonnes, stacking up to 6 high (5 high on the intermodal). It is also the most fuel efficient reachstacker on the market. A choice of three ECO driving modes; power, normal and economy; delivers significant fuel savings of up to 20%. The automatic stop/start function can also result in a 10% fuel saving and a reduction in emissions, meeting European Stage 4 and Tier 4 and EPA emission legislations. Antonio Coronel, Purchasing Director, ICTSI Manila International Container Terminal said, "Kalmar has demonstrated a thorough understanding of the critical requirements in our business. They don't just provide highly productive and reliable equipment, they appreciate the dynamics of the business and as a result, can provide solutions that boost productivity yet reduce our costs of operation. We have an ambitious development strategy to become one of the world's leading port management companies and on the same global stage, Kalmar is clearly a trusted partner."